As an employer you are going to make sure you have a way to track what time your employees come in; what time they leave; when they take their breaks; and when they have lunch. This means incorporating an employee clock-in system for your business. In this way, management and the Human Resources department will be able to accurately gauge what time everyone comes and goes and then figure out payroll for hourly employees. This will also help in figuring out how many sick days and/or vacation days need to be divvied out to workers. That said, you should also make sure to have an up-to-date system to make sure everyone is being correctly and accurately accounted for. Having the most current clock-in software and hardware possible will ensure an easier time managing your employees' progress. Your Human Resources department will also greatly appreciate it because it means greater efficiency and ease in gathering all that data and collating them into something they can work with. A new system will also remove the possibility of employees gaming the system and clocking in and out without getting their work done. Having a new system to track the hourly progress of employees ensure accurate accounting and the efficiency running if your business. Sometimes I think I am destined to do cloud computing. 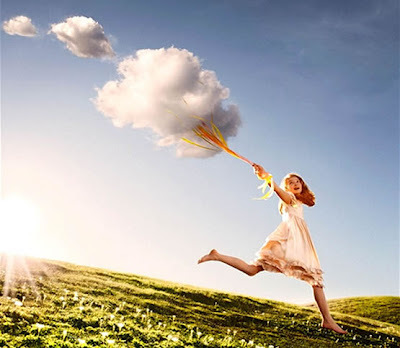 When I was young, aged around 4 or 5, I liked to lie on my back, and watched the clouds drifted above in the meadow nearby my house in the bright blue sky. I liked seeing some strands of clouds gathered and formed some unknown shapes that looked like animals such as elephant, cat, dog, horse, and even a dragon, while my childhood mates were playing tag and running around. I also wondered to where the cotton candy-liked cloud would float? Somewhere faraway beyond or within my reach even after I've grown up? That thinking always fascinated me, and occupied my mind most of the time. The little village was my entire world at that time. The coconut trees, grass field, small hills, scattered houses, and even flowing river, pedaling bicycles, loitering dogs and passing train were all still images in my early days’ memories. The only moving objects were clouds, hung high and low, thin and thick in the sky, in thousands different expressions and appearances, easily spilled out of my childhood boundaries, and has rooted deep down in my dream. And, anyone who knows Chinese would know that I have cloud city in my name. The name seems to bind my fate to clouds even more. And, as I write poems and published books, the simple but rare formed of words that contained artistic conception are often thought by people as a pen name. 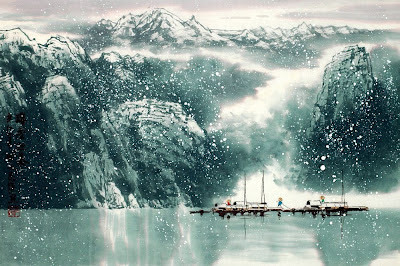 Besides, I like the way Chinese landscape art-paintings with light colors or without the use of any color. 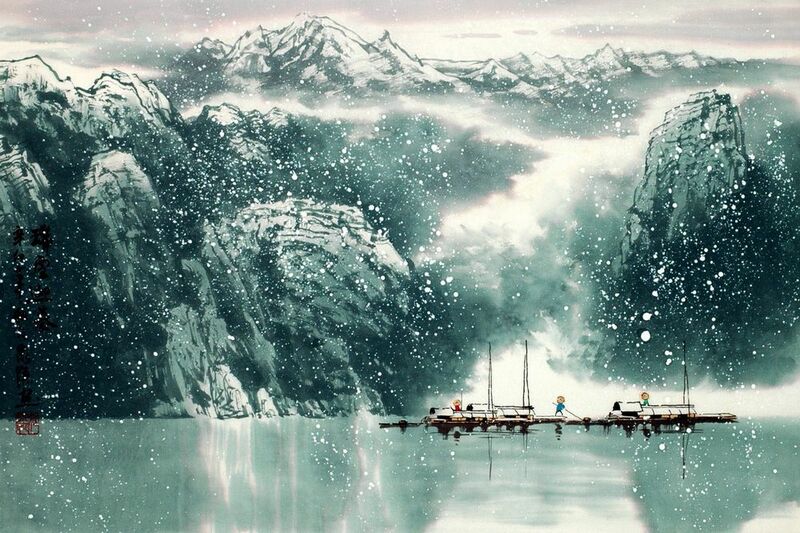 The simple Chinese ink painting uses the Taoist principles of harmony to depict white clouds, the liu-bai technique, or intentionally leaving it blank, is best capturing not only the outer appearance of a subject but its inner essence of energy, life force and spirit. The empty spaces to portray clouds provide the room for viewers to fill it up with their own imagination. Even when I started this blogfive years ago and named it Traveling Mind, it was the outcome of freely traveling cloud that first struck my mind. Due to my liking of cloud, I felt the closeness and attachment to this buzzword Cloud Computing, not merely because it would be the future trend of software application development. We devote a large part of our resources to build TimeTec Cloud services, hoping it will drive us to somewhere farther with greater achievement. And, we finally come to this most anticipated event - the launch of TimeTec Cloud next month and certainly one of the big moments of FingerTec. To build a city full of computing activities in the clouds, the dream is so vivid now, and the direction is unmistakable and clearer when the days get closer. Having fingerprint door locks installed in your company's building or facility will improve your overall security immensely. While most businesses use standard doors secured by locks and keys, having a fingerprint lock raises the bar for making your building as secure as possible. For one thing, typical doors that use a key can be picked by manipulating the inner mechanisms of the lock. Once they get the tumblers locked in place they can open the door and have a field day. With the keys themselves, they can be lost, copied, and even stolen. Besides the inconvenience of replacing a lost key, keys obtained through nefarious means means easy access to rooms that need to be protected as best as possible. A fingerprint door lock has neither of these problems. There is only ever one key for such a lock and it is your finger, which is unique to you and there is no way you can possibly lose it through sheer carelessness. Another advantage of a fingerprint lock is that your fingerprint cannot be copied. Also, there are no mechanical devices for an expert thief to manipulate in the hopes of unlocking the door. By using a fingerprint lock you will be able to protect your business effectively. Biometric time clocks are the future of personal security. More and more companies are choosing this relatively new device to secure locked doors and protect what is on the other side. It is easily one of the most advanced ways to lock a door and an excellent deterrent for any would-be thief. Biometric time clocks do not have a metal key that can be lost, copied, or stolen by an outside person. The only key that can access it is the finger attached to you! Since every person's fingerprint is unique to them, trying to make a copy of it is an impossibility. Also, typical doors that use a key have a locking mechanism that can be picked and manipulated by an expert thief. Fingerprint locks do not have this problem. The only way for a person to open such a door is if the the fingerprint scanner recognizes their fingerprint and lets them through. Otherwise there is no way they are getting through. Time clocks are also great for keeping track of employees coming and going and works well for keeping attendance. These neat locking mechanisms have a variety of uses that should entice you to look into installing one of these devices. When we started to market FingerTec products in Hong Kong some years back, we were heavily surrounded by low-priced China products. Our associate company felt edgy, because Hong Kong is just a tiny dot with a huge Mainland China overhead on the map, the inflow of these products was fast and easy. Their low price strategy gave an impression that they could swallow Hong Kong market at anytime. And we also observed the silhouettes of low-priced Biometrics products scattered in the classified section of the newspapers in Hong Kong. A few years past, this time when we returned to SecuriTex Show in Hong Kong Convention and Exhibition Centre, an exhibition that aimed for domestic market, I didn’t see any low-end Biometrics products from China around. Their ads from the local newspapers disappeared as well. Founder Globaltech Ltd, our associate company later confirmed to me that these products are almost vanished from the Hong Kong market. “The sky is getting brighter, and our growth rate for FingerTec is 30% each year for the past two years,” Eric See, CEO of Founder GlobalTech happily pronounced. To survive and prosper in Hong Kong, product quality and service are the two main essences, according to Eric. 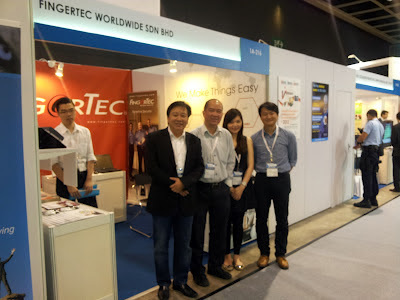 Besides, FingerTec has made its reputation with some large and successful installations such as NTT data center and Fine Asia Watch Chain Stores in Hong Kong. SecuriTex Show is organized every two years for end customers to source for the best and suitable security products and also for the industry players to establish its network and exchange market information and experience. 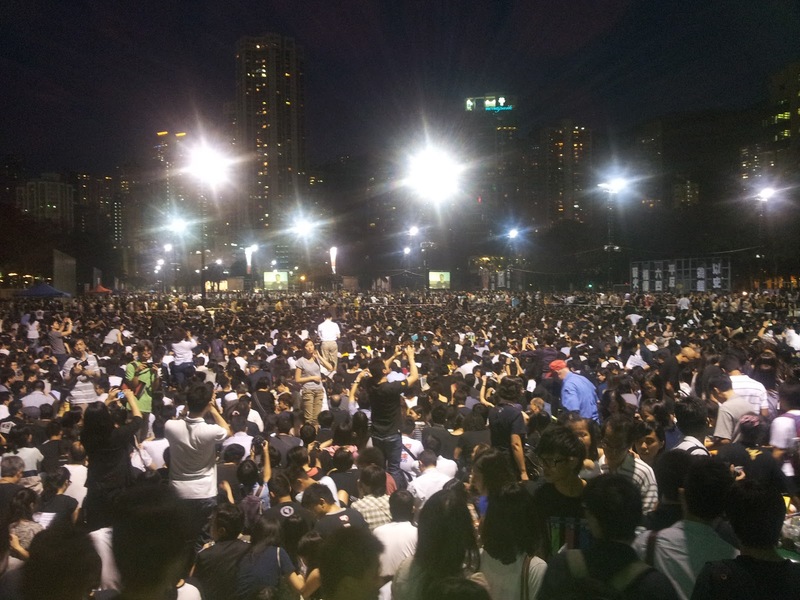 The security industry is relatively small in Hong Kong, you know everybody; everybody knows you. The opening date of SecuriTex Show just coincided with the candlelight vigil of 4th June this year. The event commemorates the 23rdanniversary of the 1989 Tiananmen Square Massacre that happened in Beijing, and had drawn a record high of 180,000 people to the Victoria Park, not too far from our Exhibition Hall in Wan Chai. After the show, I walked slowly down to the park, reached there just before 7, and saw the crowd started to flow in from different directions but mainly from the Metro station. I was delighted to see so many young people, obviously born after the historical event, joined the commemorative rally too. When the Chinese government cracked down the Tiananmen Square demonstration by killing hundreds of university students 23 years ago in Beijing, I was just graduated from college and involved myself with a few NGOs in expressing our condemnation of the massacre to the China Embassy in Malaysia. 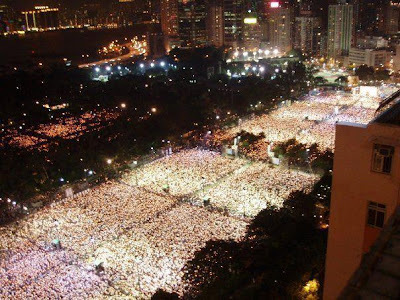 Today, when China is still suppressing any commemorative events for Tiananmen Square Massacre, the yearly candlelight vigil in Hong Kong has becoming the conscience of China to call for democracy, after the transfer of sovereignty of Hong Kong from United Kingdom to People’s Republic of China as Special Administrative Region in 1997. With more people and younger generations taking part this year, the candlelight had brightened the night sky. We don’t have summer holidays in our country because apparently, we are blessed with summer all year long …and that’s potential a joke, if you hadn’t noticed. Now is the two weeks school holiday in Malaysia and parents take time off to bring their kids away for a short break and us included. We flew to Penang last weekend for a short weekend getaway and for that 45 minutes flight, instead of taking an interrupted nap because some kids in front my seats wouldn’t want to be strapped in seat belt, I took the time to read the inflight magazine, Travel 3sixty by AirAsia. It’s not like I didn’t bring my own magazine but since the magazine was in front of me I just grabbed it. For that effort, now I know who’s who in AirAsia, I learned about their staff’s past activities and opinions, I know that AirAsia fly to Manila and Kerala, dived into their plans and aspirations, and I feel closer to the brand just by flipping over that simple magazine. The effort is not new, you would say. Other airlines also have done it for so long. And how would the same effort apply to other industries, which are not service-oriented? Your concern is valid because time is an essence and not many people are ready to spend their time reading about trivial things that are irrelevant to their lives. Hence, the key to this strategy is ‘relevant’. I believe that if the pieces are relevant, writing could be one of the best strategies you could use to approach your customers or potential customers in this time and age, in various industries. We’ve been preaching about writing for quite sometimes now. It’s not like we are asking for a novel; anecdotes would suffice. It’s definitely not academic or expert opinions but having your brand stories written post-event, and save them somewhere, at the end of the day you have your brand history written in sequence. With the availability of the social media that could help you spread your news viral, why not? You would never remember that time if you don't start writing about it! We launched our Beyond Biometrics early this year and so far we have distributed close to 10 thousands to our clients and during exhibitions. Many are worried about who’s going to read, whether the pieces are newsworthy, I would say, don’t think too much. 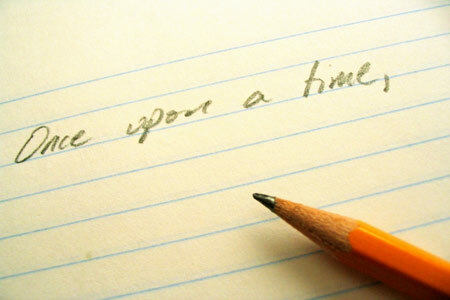 As long as the stories are not damaging and it represents what your brand/company is doing, go ahead and write some. Why is it important for us to tell our stories? It’s simple, because people could relate better with the brand. By reading that we had a birthday party, you know that humans work in FingerTec. Again, less worry about whose gonna read what you write. Concentrate on producing informative, fun and cool articles and trust me, nobody is gonna grade you. And if you have stories to tell us, click here! We are thrilled to hear from you. Every company that has at least a handful of employees is going to need a way with which to keep track of when they clock in and clock out of work. This is so that they can collate that information when it is time to pay their employees. This becomes exponentially more necessary and difficult the bigger the company is. The stereotypical punch card method of clocking in and out is sorely outdated and can get very complicated if a big business tries to use it. Cards can get lost, people can abuse the system, and a whole lot of other problems can arise from this archaic method of clocking in. So what do you do then? You upgrade with new employee clock in software. By installing a new system that includes an upgraded employee clock in software you will increase efficiency as well as decrease a lot of headaches. Your company's accounting and HR departments will certainly appreciate the new software system because it means an easier time doing payroll. Less mistakes in this regard means a lot of happy employees. By upgrading an outdated system you and everyone else in the company can have an easier time working and will provide a more efficient and accurate way of doing things.